The wines of Winefest are chosen by Bern's Fine Wines & Spirits' General Manager, Natasha Telfer, Bern’s Sommeliers; Eric Renaud, Brad Dixon, Gregory Mayer and Adam Sageser, and Haven Wine Director, Gregory Schwab. They search throughout the entire year and handpick the best wines from around the globe to offer at each event and the day of the Grand Tasting. Natasha and her team also ensure that the wine shop has every single one of those wines from the tasting available for purchase. 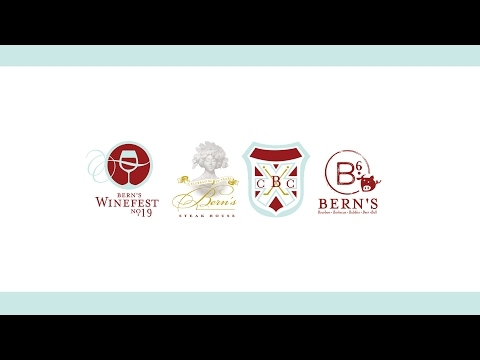 For the past twenty-one years, Bern’s Grand Tasting has offered more than 200 fantastic wines accompanied by delicious culinary creations from Bern’s Steak House, Haven, and Élevage. And lastly, new this year we are highlighting Bern’s Black Box, our signature gift giving experience. Come see our display and specials at the Grand Tasting pop-up wine shop. Whether you obtain the day of, orchestrate concierge services or order for white glove delivery, over 200 fantastic wines are yours to celebrate and share with a special Bern’s touch. Join us for a full week of events to indulge in all your wildest, luxuriant culinary cravings and wine fantasies. Come celebrate, savor and gift the best tastes of life!